The Sun, Earth’s closest stellar neighbor, conducts many processes we still don’t fully understand, many of which affect Earth directly. Space weather events are short-term changes in near-Earth space that are driven by solar activity. These events impact Earth and can negatively affect the technology we use (e.g., telecommunications satellites). Space climate refers to long-term variations in solar activity (i.e., the solar cycle, or the change in solar magnetic activity every 11 years). These long-term variations can also affect Earth, most notably our terrestrial climate. To observationally study space weather and space climate, astronomers observe structures on the solar surface that affect short-term and long-term activity. The authors of today’s paper focus on structures known as active regions. Solar active regions are rooted in concentrations of strong magnetic field, are a major source of activity that contributes to both space weather and space climate, and are an ideal environment in which to observe these variations. What is an active region? Active regions are structures that extend from the solar surface to the solar atmosphere and are the source of eruptive events like solar flares and coronal mass ejections. They are rooted in sunspots, strong concentrations of magnetic field at the solar surface. They are also comprised of coronal loops, loops of hot plasma that extend high into the solar atmosphere. The presence of such a strong magnetic field in a concentrated region causes active regions to contribute significantly to the global solar magnetic field. Two examples of active regions are shown in Figure 1. Magnetic fields in active regions are the primary source of interest for the authors of today’s paper. In order to describe the varying degrees of complexity in these magnetic fields, the authors use the Mt. Wilson Sunspot Classification System. This system classifies the sunspot groups that comprise active regions using the labels α, β, γ, and δ. The simplest magnetic classifications are α and β sunspot groups, which are comprised of either a single sunspot or two sunspots of opposite magnetic polarity, respectively. More complex groups are γ sunspot groups. They have at least two sunspots, but the increasing magnetic complexity makes it impossible to distinguish positive and negative magnetic polarity centers. The most complex groups are δ sunspot groups. They can have multiple magnetic polarity centers, but they must have at least one sunspot comprised of a single polarity center surrounded by the opposite polarity. For their analysis, the authors define simple active regions as those that do not have a δ feature and complex active regions as those that have a δ feature. Figure 1. A solar active region shown at different wavelengths and heights above the solar surface. The image on the left shows a sunspot (located at the surface of the sun) in visible light. The image on the right shows coronal loops in extreme ultraviolet light, which extend high into the solar atmosphere. Source: University Corporation for Atmospheric Research. How do we measure active regions’ impact on space weather and space climate? In order to quantify the contributions of active regions to space weather and space climate, the authors use two proxies: the flare index and the axial dipole moment index. The flare index is defined as the sum of all flares produced by an active region, where each contributing flare is weighted by its brightness in X-ray wavelengths. Solar flares are primary triggers for space weather events, and are therefore a good proxy to measure the impact of active regions on short-term solar activity. The axial dipole moment index is defined as the contribution of an active region to the overall magnetic dipole moment of the Sun. The Sun’s magnetic dipole moment at the end of a single solar cycle determines how the magnetic field will behave in the next cycle, and is therefore a measurement of space climate. The axial dipole moment index is dependent on the area, latitude, and the tilt angle of the active region (the angle between sunspots in a single active region). The authors computed flare and axial dipole moment indices for a sample of 567 large active regions observed from 1974 to present, and their results are shown in Figure 2. Of these, 42% were simple active regions and 58% were complex active regions. Simple active regions were on average larger than complex ones. The authors found that 81.1% of complex active regions and 15% of simple active regions produced strong flares. It is well established that active regions with more complex magnetic configurations tend to produce stronger flares; therefore, it is unsurprising that this subset of active regions contributed the most to space weather.. They found that simple and complex regions have a similar fraction of high axial dipole moments (42.7% and 49.7%, respectively). While complex active regions contributed more to space weather than simple active regions, both types of active regions contributed similarly to space climate. The authors also compared the area of each active region with their flare and axial dipole moment indices and found that the areas of complex active regions showed a higher correlation with flare index than simple active regions. They found no correlation between area and dipole index for either type of active region. Therefore, while large active regions tend to contribute more to space weather, there is no such area dependence for their contributions to space climate. Overall, the authors concluded that complex active regions contributed more to space weather and both simple and active regions contributed equally to space climate. This result furthers our understanding of how the solar magnetic field impacts near-Earth variations in space. Figure 2. Plot of flare and dipole indices for all 567 active regions. Simple active regions are shown in blue, and complex active regions are shown in red. The size of the point corresponds to the area of the active region, and the opacity of each point corresponds to the amplitude of the latitude-dependent factor in the dipole index. Figure 6 in the paper. What about all the other stars in the universe? This analysis also has implications for objects outside our solar system. The question of whether or not other stars behave like the Sun in their short and long-term variability remains unsolved (see this astrobite for an example of previous work done on the subject). One primary point of interest in this field is superflares, flares that are many times more intense than those produced by the Sun, whose observed luminosities dwarf that of their host star. Based on observations and models, astronomers have concluded that the energy of a superflare is dependent on either the total magnetic energy in the star or cyclic magnetic behavior similar to the solar cycle. However, these models usually ignore the degree of magnetic complexity in the star. The authors of today’s paper showed that these types of variations, while much less severe in the Sun, are in fact dependent on the complexity of the star’s magnetic field. Although we still have a long way to go towards fully understanding magnetic activity in stars (including our own Sun! ), today’s paper brings us one step closer. As the wealth of solar magnetic field data increases thanks to instruments like the Solar Dynamics Observatory and upcoming instruments like DKIST, more pieces of this long puzzle are being put into place. I am a first-year graduate student at the University of Hawaii at Manoa Institute for Astronomy, where I study the Sun. My current research focuses on how the solar magnetic field triggers eruptions that can affect us here on Earth. In my free time I enjoy rock climbing, painting, and eating copious amounts of mac and cheese. 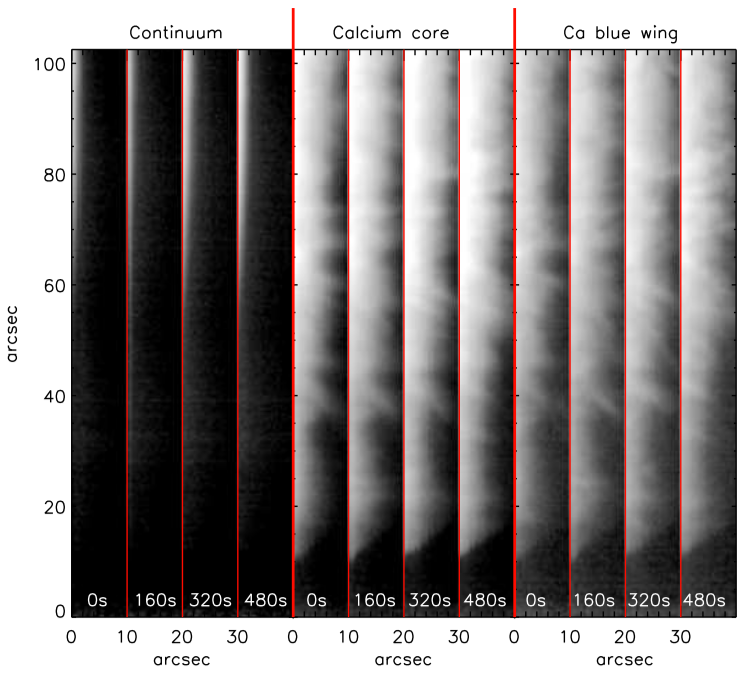 Vary, Vary, Little Star…Or Don’t, If You’re the Sun Old, New, Cyclic, and Ultra-Blue: Visualizing the Last 400 Years of Solar Activity The Sun: A Spectroscopist’s Delight What Are Starspots Like on Sun-like Stars?